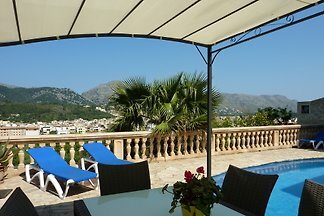 Idyllic finca with a beautiful view at the foot of the foothills of the Tramuntana mountains. Approximately 3 km from the beach. Charming finca in quiet location, with heated pool and large veranda. The nearest sandy beaches are about 10 minutes away. With billiards and table tennis. 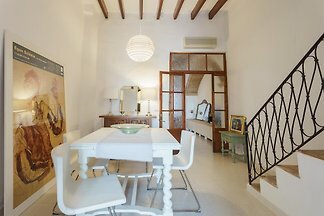 Only a few minutes' walk from Pollenca's historic market square, Casa Jeroni is situated in a quiet street. Pollença is easily accessible on foot. 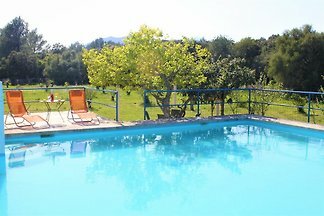 The modern finca with privat pool in Pollença is quiet situated, but you can reach Pollença center in about 5 minutes on foot. Traditional finca for 6 persons in Pollença. Surrounded by a beautiful garden, perfect for a holiday with friends or family. Sandy beaches are within 10 minutes by car. 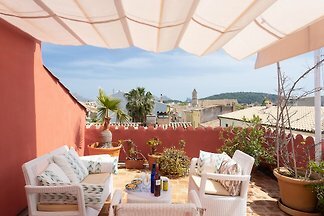 Historic town house for 6 persons with large patio and roof terrace. 5 minutes' walk from Plaça Mayor. To the beaches of Cala San Vicente or Port Pollensa its only a 10 min drive. 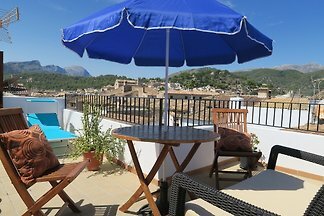 The villa with pool is situated on the Puig de Maria and offers an unsurpassable view of Pollensa and the foothills of the Tramuntana mountains. 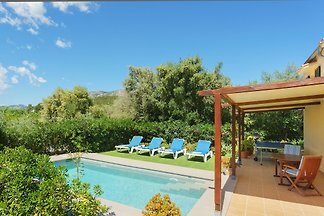 Located in an idyllic spot and overlooking the mountains of Pollensa, this nice villa offers a second home for 6 people. 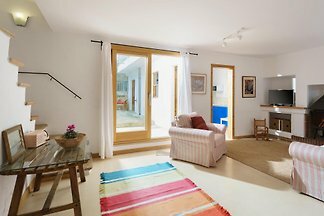 Comfort House Pollensa 2259 with private pool and stunning sea views for 4 people. 2 bedrooms, 2 bathrooms, Internet, air conditioning, dishwasher and washing machine. Welcome to this charming villa near Pollença, surrounded by romantic woods where you will discover the beauty and the comfort to make your holiday an unforgettable experience. 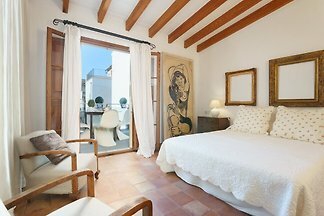 Welcome to this beautiful house in the historical centre of Pollensa, a few metres away from the central square. Nice Apartment to 30 metres from sandy beach. In the best area of Puerto Pollensa. Ideal for families with 1 or 2 children.Cyclist friendly.. There are 3 more holidays apartments. Villa with private pool and beautiful garden with mountain views for 4 people. 2 bedrooms, 2 bathrooms, air conditioning, internet, dishwasher and washing machine. 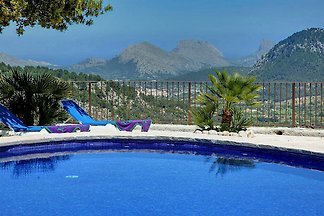 Fantastic country house with private pool welcomes 6 people in Pollensa. 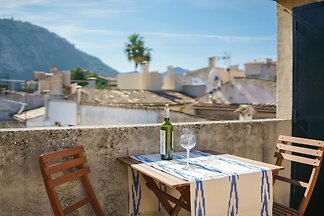 from 5 11 holiday homes & accommodations in Pollença were rated with an average of 4.9 out of 5 stars ! 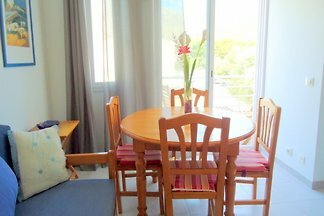 Rent successfully your holiday flat or holiday home in Pollença in only 20 minutes !